July 10, 2014  Readers responded strongly to our series about caregiving, especially one photo of a father caring for his son with cerebral palsy. Some said it was demeaning. Others said it revealed great love. June 23, 2014  Jason DaSilva was diagnosed with multiple sclerosis at age 25. He has applied his skills as a documentary filmmaker to show what it's like to quickly lose the ability to walk. May 27, 2014  Nobody wants to spend their final years unable to walk, but that sad fate afflicts many people as they age. 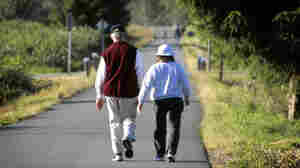 A little exercise helps a lot, especially if people can do it in social groups. February 19, 2014  People tend to relax as they get older, and most people sit more. Each extra hour of sitting increases the odds that they won't be able to get out of bed or do other daily activities. 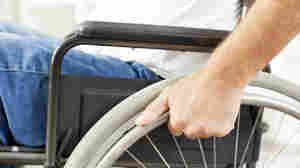 April 18, 2013  Our series on government disability programs continues to provoke debate. July 26, 2010  House honors American Disabilities Act with a first, a lawmaker in a wheelchair got to preside.